Faghmeda Miller, a LifeLab Associate, is the first Muslim woman in South Africa to have publically disclosed her HIV status. She is an HIV/AIDS activist and educator and has been working in the corporate and public sectors for over a decade. Faghmeda was awarded the Femina “Women of Courage” Award in 200, and was nominated for “Women that made difference” in her community. Living her truth has helped inspire many people living with HIV/AIDS. Faghmeda addresses local and international HIV/AIDS conferences to build awareness and empower women in the fight against HIV/AIDS. 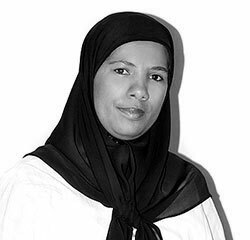 She founded Positive Muslims, a community based organisation actively fighting stigma and discrimination against HIV-positive people within the Muslim community in South Africa. Faghmeda runs community interventions, support groups and offers counselling services. Faghmeda lectures HIV/AIDS at the Cape Peninsular University of Technology. Faghmeda delivers a message of hope, believing that our attitudes are the key to surviving this pandemic, ‘I always say that it is not HIV that is killing us, but the stigma!’ She offers dynamic seminars and intensive training that makes a real difference.